So you’re planning the details of your wedding, and you’ll have more than a few out of town guests. After you’ve scoped out some accommodations proximal to the festivities– and a couple of price points are thoughtful to offer– you should contact the properties to block off some rooms. Be sure to ask for a discount! Now, have you thought about a welcome gift for your out of town guests? If you haven’t, you should! The welcome bag is a nice way to say “thank you” to friends and family who are traveling to be with you on your special day. It’s also a good way to provide useful little snacks and sundries, and information about the venue and surroundings. 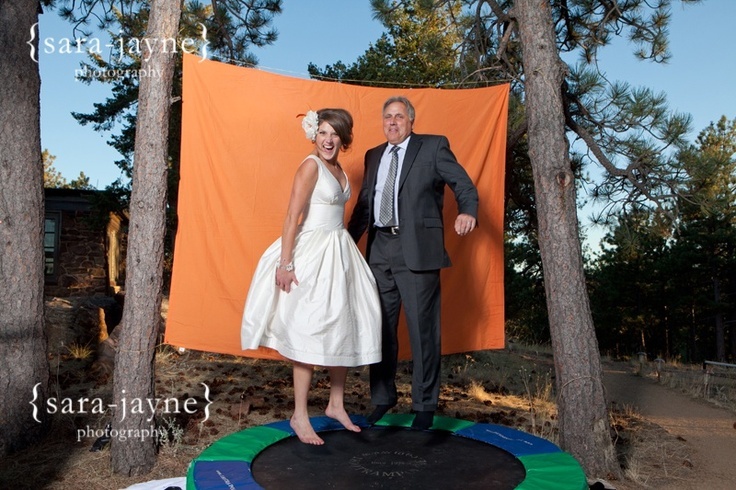 Most couples I’ve talked with really enjoyed putting this together for their guests. 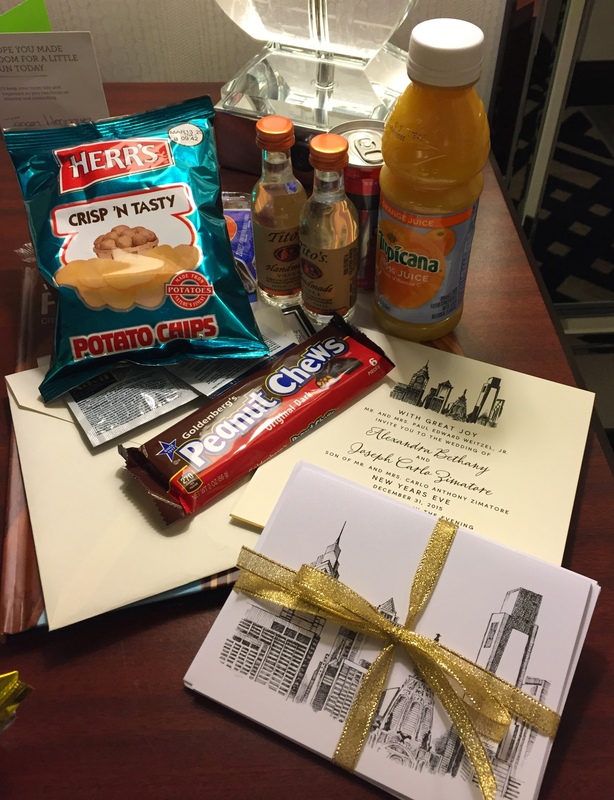 We were recently guests at a wedding in Philadelphia, and were delighted by the thoughtful welcome bag and note from the bride and groom. 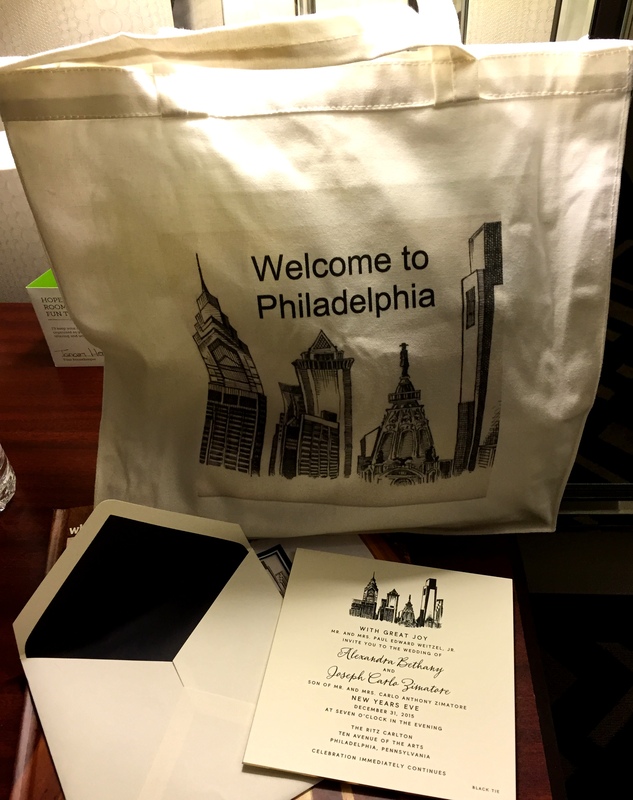 The bag was designed to welcome us to Philadelphia, the bride and groom’s home, and they wanted their gift to reflect their passion for the city. A specially-made bag with a custom line drawing of the city’s skyline included note cards by the same artist, and an assortment of “Philly-made” treats. Other thoughtful items included morning-after Bloody Mary fixings and some Advil to aid in our recovery from what was promising to be an awesome party! Quite simply, to show your guests how much you value them, and appreciate their being a part of your special day. As an out of towner on that memorable weekend, I felt the Brotherly Love from our hosts, and a heightened anticipation of a good, good night. It did not disappoint!